The ex-U.S. Secretary of State and Nobel Peace Prize winner Henry Kissinger has just been accepted as a member of the Russian Academy of Sciences alongside six other foreign Nobel Prize winners. One member of the Academy, Boris Chetverushkin, commented on the results of the voting in the academy. “Kissinger, Henry Alfred,” Chetverushkin announced the name of the ex-State Secretary of the U.S. amongst chosen academics at the Academy. Kissinger received the title at the Academy because of his research into global problems. In addition to Kissinger, the Academy also invited other Nobel Prize winners to join its ranks: Serge Haroche and Martinus Veltman, winners of the Nobel Prize in Physics; Rogers Kornberg, Jean-Pierre Sauvage and Dan Schechtman, winners in Chemistry; and Kenneth Joseph Arrow, winner in Economics. 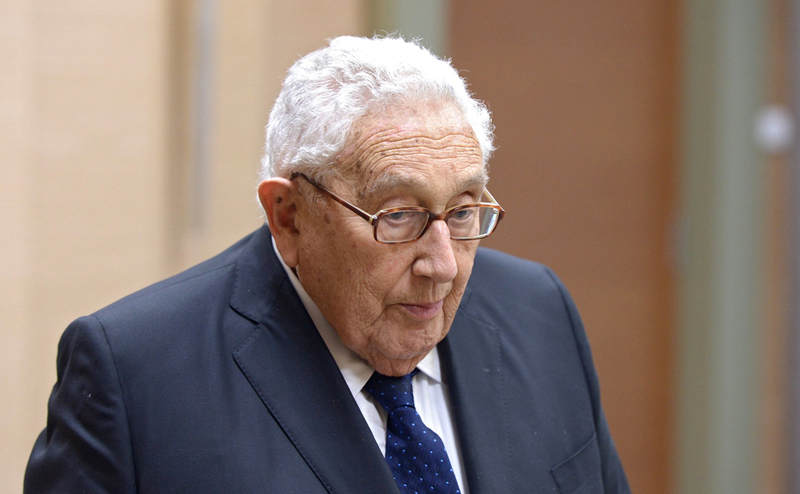 Kissinger was the former U.S. Secretary of State and Assistant to the President for National Security. He is considered one of the initiators of the policy of ‘détente’ between the U.S. and the Soviet Union, and in 1973 he was awarded the Nobel Peace Prize.